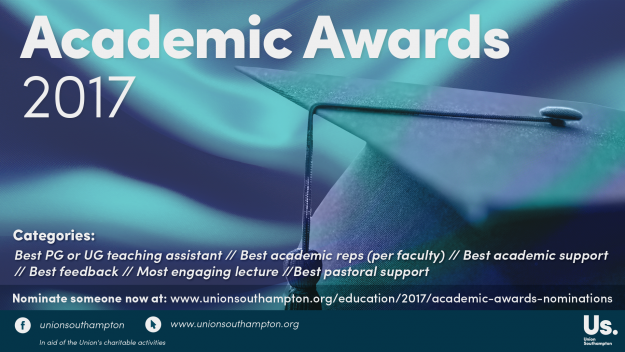 You can now nominate the people that you think deserves to be recognised for their contribution to academia before midnight on Wednesday 15 March at: www.unionsouthampton.org/education/2017/academic-awards-nominations. The evening will be a great chance to celebrate the success of our academic representation here at Southampton and to give yourselves a pat on the back for all your hard work and study. Let’s shout about our successes and be proud of them.